AMES, Iowa (AP) — Iowa State University President Steven Leath said he will be more cautious about mixing personal and official business after facing criticism over his use of university airplanes and a $1.1 million private land deal with his boss. Leath told the university's student government Wednesday night that he misjudged how both issues would be perceived by the public and that "I've learned my lesson." He apologized for the negative attention his actions have brought the school of 36,000 students and said he would do many things differently in hindsight. "I'll be different," said Leath, who has been at Iowa State since 2012. "We will be very, very mindful of what we do going forward. I've learned from this." Leath spoke before the student government approved a resolution calling on the Iowa Board of Regents to order an independent inquiry into his frequent use of two university airplanes. The board had already announced a "compliance review" of university policies on equipment use and travel hours earlier. For the first time Wednesday, Leath also admitted to mistakes in his use of the university's second aircraft flown by school pilots. He said he regrets transporting his brother and sister-in-law on the plane to and from an NCAA basketball tournament game in 2014. He also said the plane should not have been sent to pick him up on June 1 in North Carolina after he took a few days off at his home there. The plane controversy has revived questions about a land purchase involving Leath and Board of Regents President Bruce Rastetter, a powerful agribusinessman who is Leath's boss and would oversee any investigation into Leath's conduct. Leath said Wednesday that he and his wife, Janet, were looking for recreational land to build a home in central Iowa last year and were advised by real estate experts that "finding an affordable farm" there would be difficult. He said that a 215-acre plot came up for sale in Hardin County that was "bigger than we wanted." Leath said that he and Rastetter looked at the property and decided to split it up if they could buy it together. The two agreed on a bid price and Rastetter's company, Summit Agricultural Group, bought the land for $1.14 million at a public auction, Leath said. Once a survey was completed, a Leath family corporation purchased 145 acres for $623,000 in January while Summit kept the farmland. Leath said that he didn't get any special treatment on the purchase, and that it should be seen as a positive that he and his family wants to settle in Iowa. But he said he understood why critics would question his private business with Rastetter. "If I had to do it all over again, I probably wouldn't do it the same way, which is a sad thing," he said. Rastetter and the regents had voted months before the land purchase to approve a five-year contract that promised Leath at least $2.6 million in salary through June 2020 as long as he isn't fired for cause. Leath said he told Rastetter about the plane accident but doesn't recall whether it was before that vote. Ames, Ia. — The Iowa Board of Regents has begun a review of the policies for use of equipment and travel at Iowa’s three public universities following concerns raised about the use of aircraft by the president of Iowa State University. The ISU Student Government Senate, meanwhile, passed a resolution late Wednesday urging the board to move beyond a review of policies and to provide an investigative report on whether ISU President Steven Leath's use of the university's two aircraft has been in compliance with regent policy and state law. Bob Donley, the board's executive director, has directed the board's chief internal auditor to review the university's equipment and travel policies "to ensure they are clear and consistent, and that policies and state law were followed," according to statement issued Wednesday. The review also "will certify that existing internal controls are adequate and appropriate." Donley said he began conversations about the review Sept. 29, nearly a week after university officials confirmed ISU President Steve Leath had damaged the university's single-engine Cirrus SR22 plane during a hard landing last year in Bloomington, Ill. The incident has since raised questions about how Leath, who has a pilot’s license, has flown the university’s smaller plane for at least four trips that mixed personal and university business. 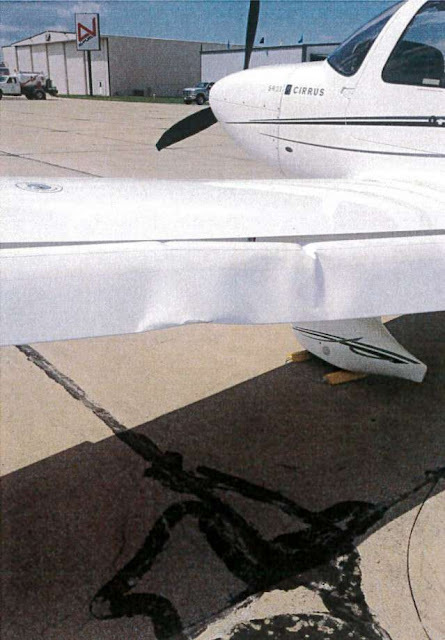 The incident also has raised questions about how the university’s two planes were purchased in 2014 and how Leath has made use of the larger King Air plane, which he is not licensed to fly and has not piloted. “Given recent reports and inquiry, the executive director thought this was a proper course of action,” said Josh Lehman, a spokesman for the board. Wednesday's statement was released nearly four hours before ISU's Student Government Senate took up a resolution calling on the regents to begin an investigation. Leath attended the meeting to address the senators' concerns. Students questioned Leath for more than an hour Wednesday about his piloting of the university's smaller plane and his passenger use of the larger. Several senators asked why, if he believed his actions were in keeping with university policy, Leath announced he would stop piloting any state-owned aircraft. “Did I break university policy? No. Did I break the law? No. But I did disappoint people,” Leath said. Leath told the students that his use of the smaller plane has been an essential part of his being able to travel to visit donors to secure record levels of fundraising. He said he thought he was going over and above regent policy by reimbursing the university for any flight that included mixed use of personal and professional business. "This is my first presidency," he said. "You learn as you go." Leath, who became ISU's president in 2012, expressed remorse about the negative attention that the issue has brought to the university, but he said he now understands better just how scrutinized all his actions will be as president of a public university. 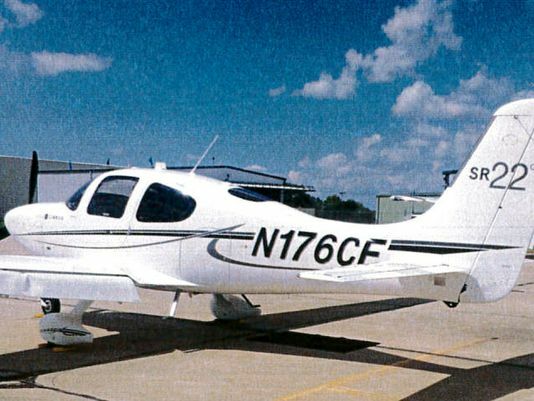 Once the confirmation of his hard landing with the Cirrus plane, Leath has donated $15,000 to the ISU Foundation to cover the costs of repairs and storage of the plane. He also has pledged not to pilot any state-owned aircraft in the future. Leath said the bulk of his travel has been on commercial airlines, but the availability of the smaller plane allows him to travel within Iowa most cost-effectively. That decision to forgo use of the Cirrus, he told students, will make it more difficult for him to help raise another half-billion over the next few years to meet the university's new campaign goal. "Maybe I'll try to get donors to fly me more now," he said. "But that's another ask for donors when they could be giving scholarships." Leath said he had "nothing to hide" from a review by the regents, but he discouraged the students from asking the regents to widen the scope of their investigation. The vote for the resolution was 23 to 4, with one abstention. Iowa Gov. 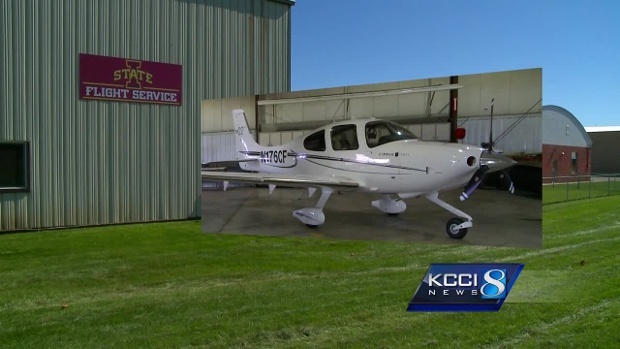 Terry Branstad has described Leath's piloting of state-owned planes as "a mistake," but said Leath took the proper action by saying he would not do so again. 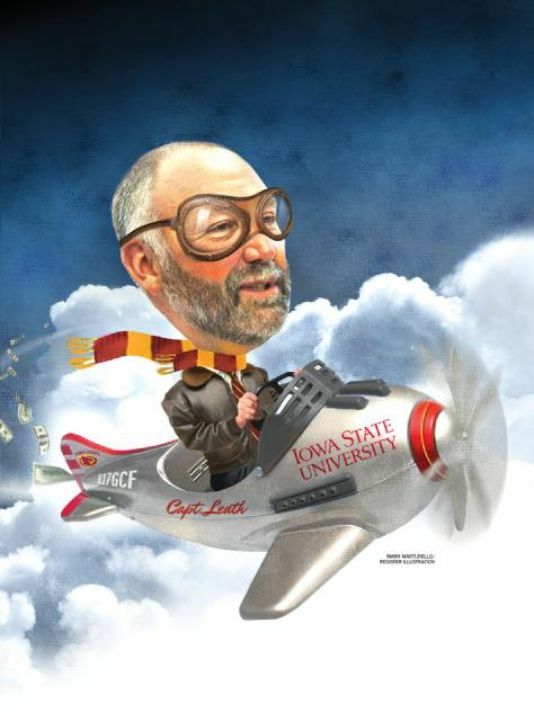 Regent and ISU officials have said Leath did not violate regent policy or state law in his use of either aircraft.